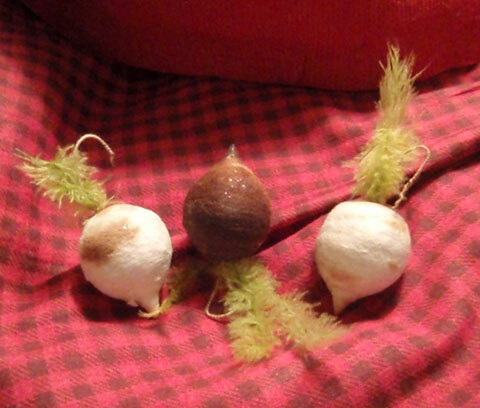 While larger cotton batting fruit and vegetables are, in themselves, quite special they are a bit easy to find and more readily available than that which I have to offer here. 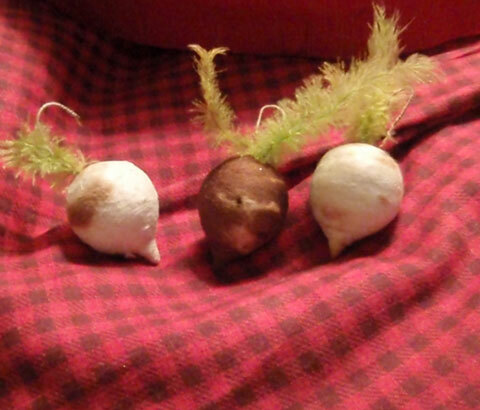 Each of these diminutive turnips measures a mere 1 1/8 inch in size (not counting their original feather tops). 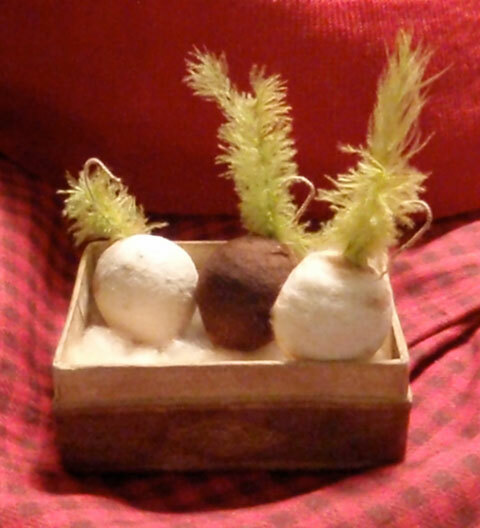 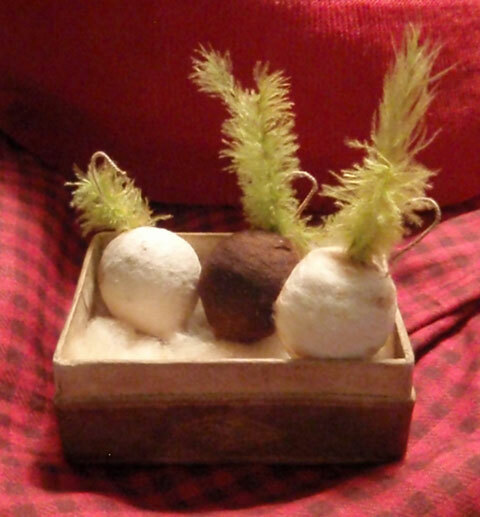 Made of spun cotton batting and “iced” with a bit of mica, each is adorned with a green feather top. 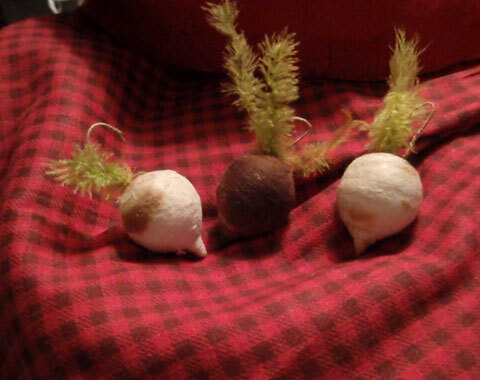 They look great on a feather tree, or are just the right size for a miniature basket.